A powerful single (or 3 phase depending on your specs) pressure cleaner developed by Kerrick specifically for the car wash industry. This is a portable, easy to use and versatile cleaning unit. Features include a heavy duty unloader, 10 meters of high pressure hose and flex coupling between pump and motor to avoid heat transfer. 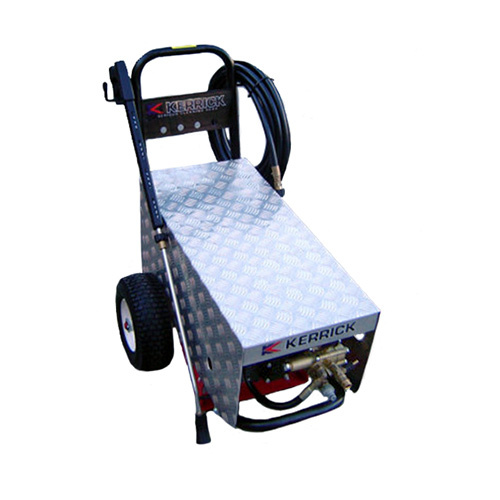 The cold water electric car wash pressure cleaner can also be wall mounted and remotely wired for ease of operation, just talk to your local Kerrick service technician to find out how we can customise this unit to suit your needs.